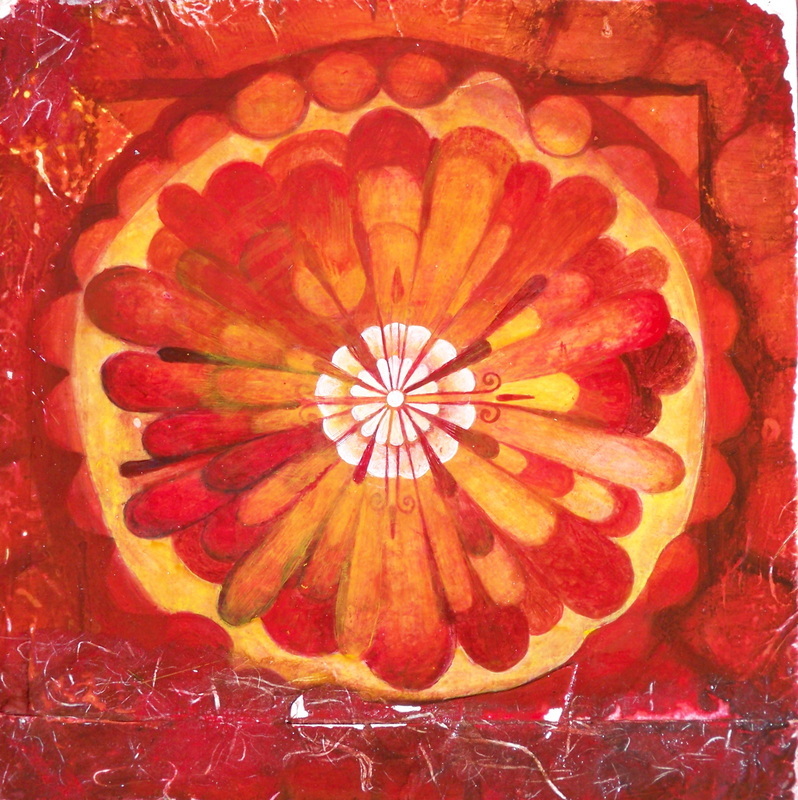 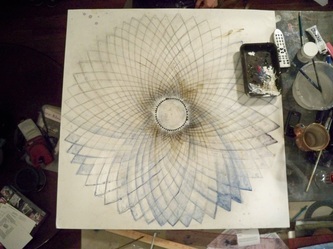 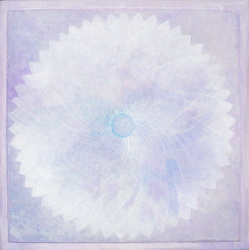 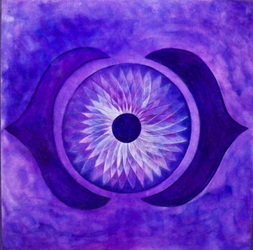 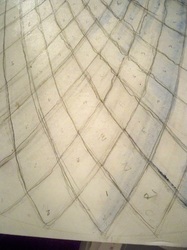 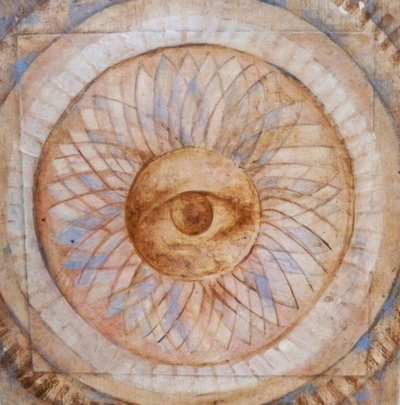 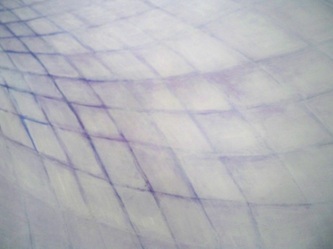 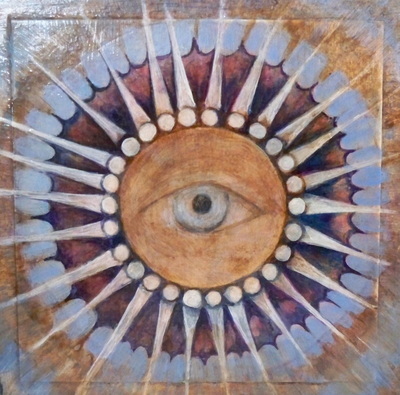 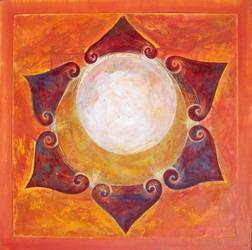 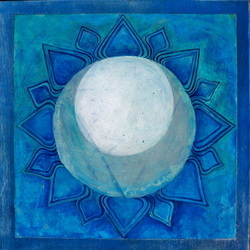 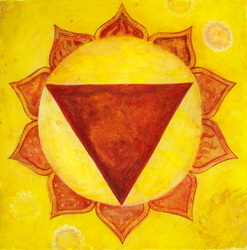 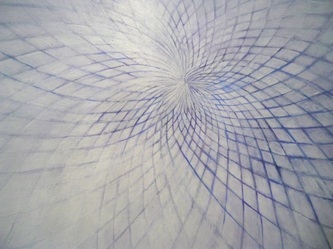 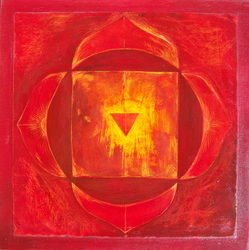 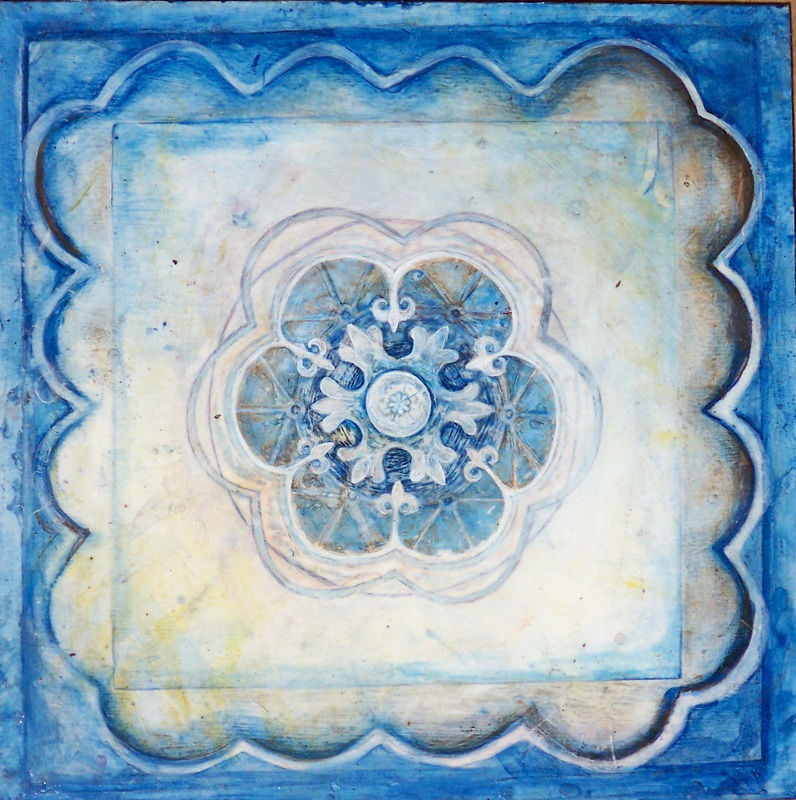 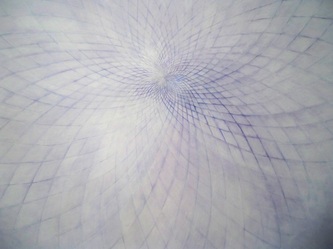 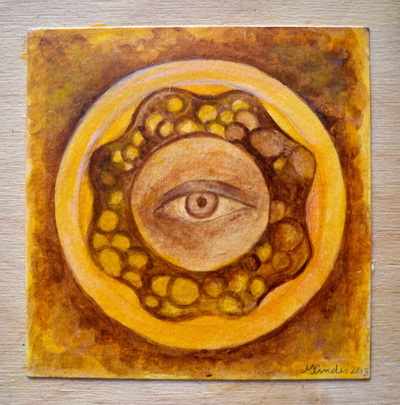 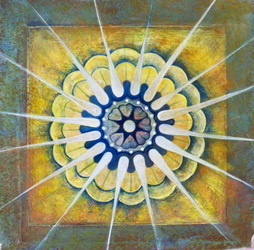 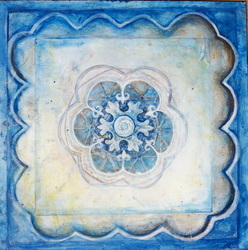 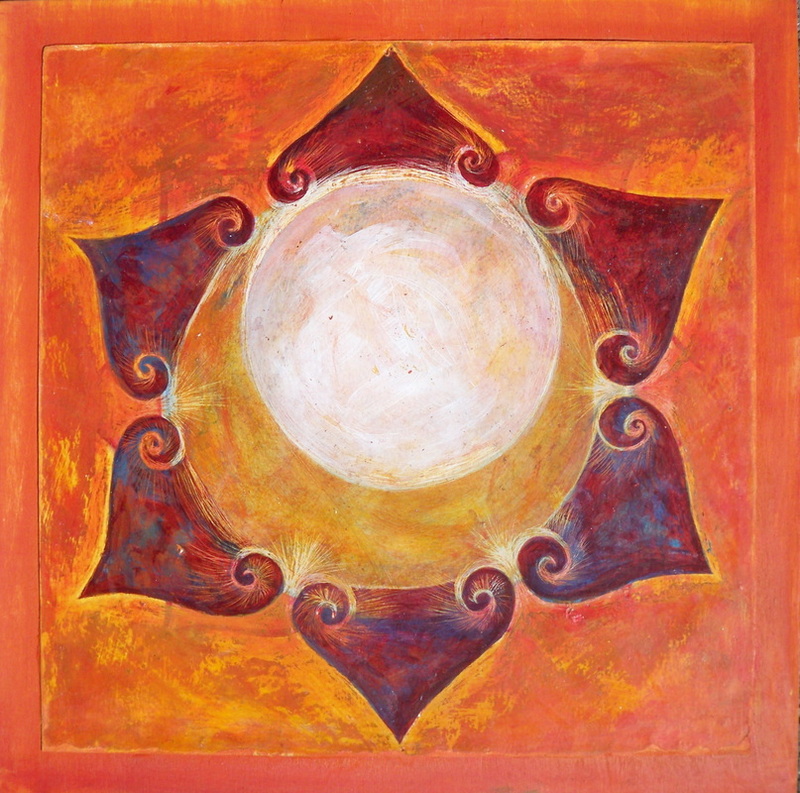 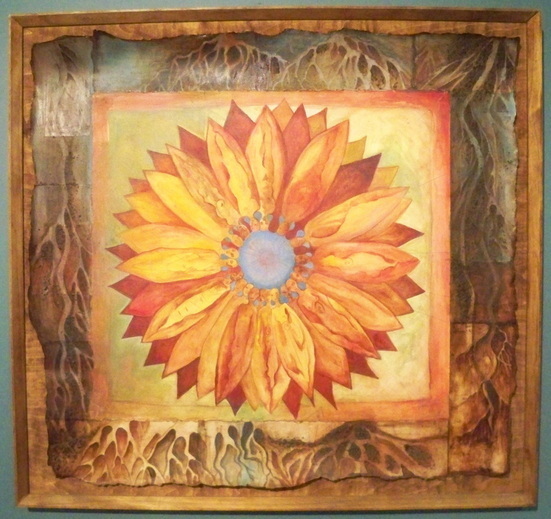 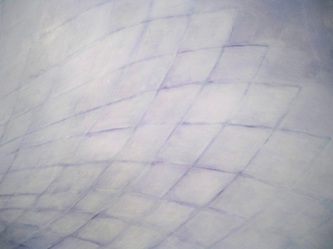 In Sanskrit the word mandala has been said to mean "circle" or "center". It is also believed that the word is derived from the root manda, mean﻿ing essence and la, meaning container, "container of essence". 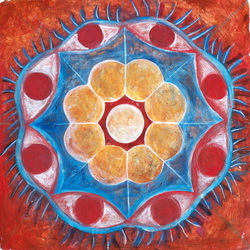 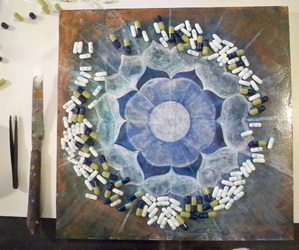 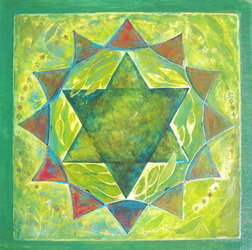 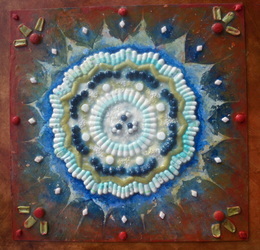 Mandalas are a universal symbol commonly used for sacred art, meditation and healing. 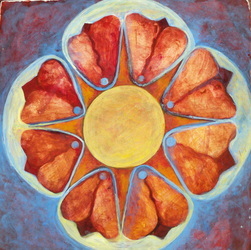 In the Hindu and Buddhist religions they view mandalas as a sacred place. 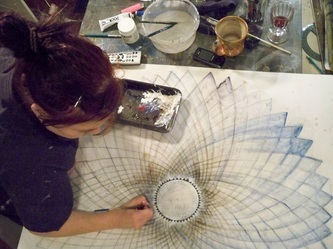 ﻿More on Mandalas..﻿......Tibetan Buddhist Monks are required to train for several years to create sacred mandala sand paintings. 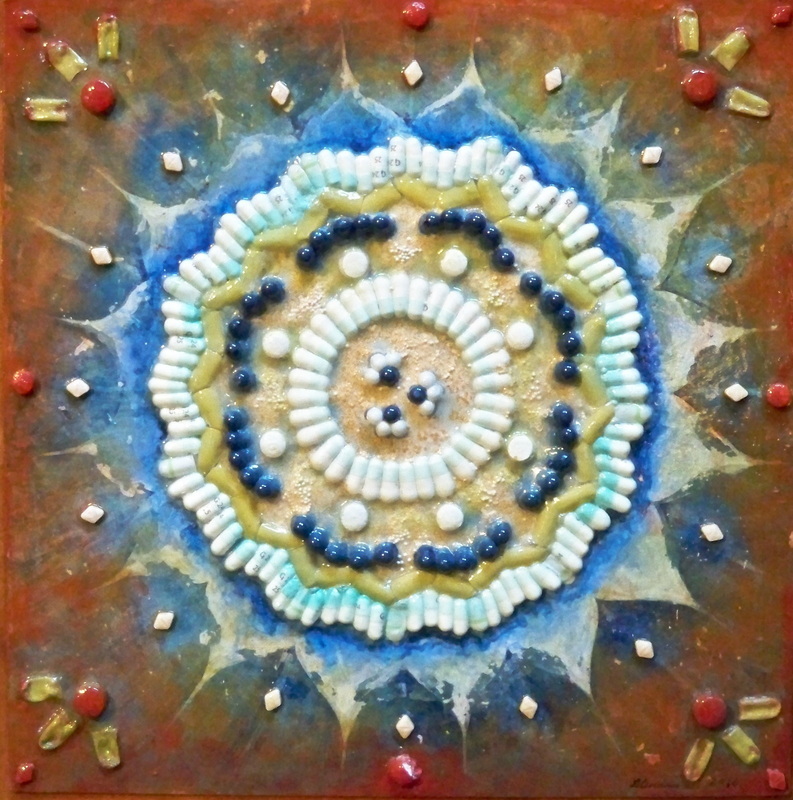 Made of different colors of sand, these sacred paintings take many days to create during which there is a ceremony. 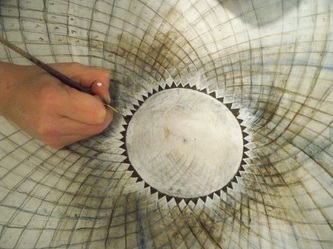 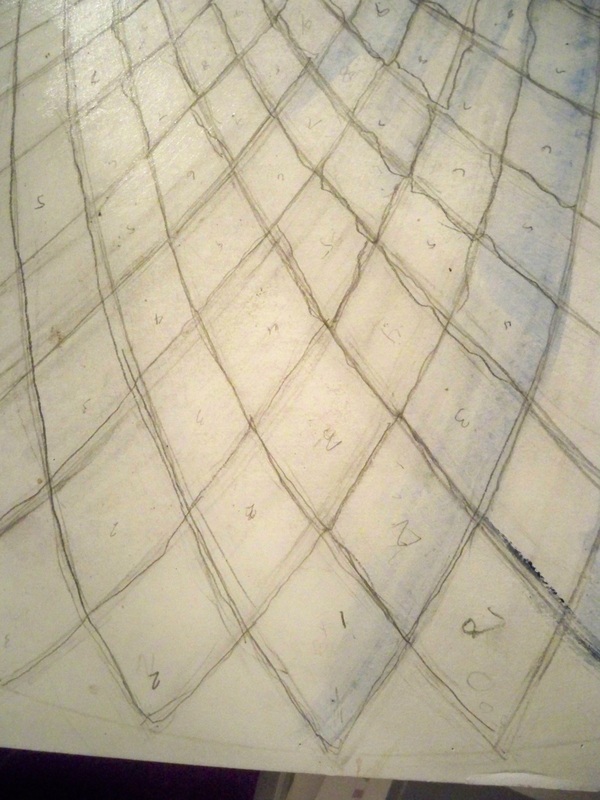 When the piece is complete the sand is blown away to celebrate the Buddhist belief in the impermanence of things. Native Americans are also known to create ceremonial sand paintings of mandalas for healing and luck from the gods. 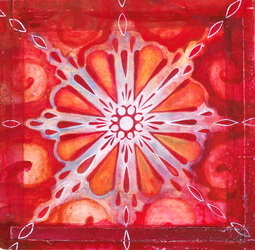 The mandala is a common design on their drums and other everyday objects for luck and protection from the gods. 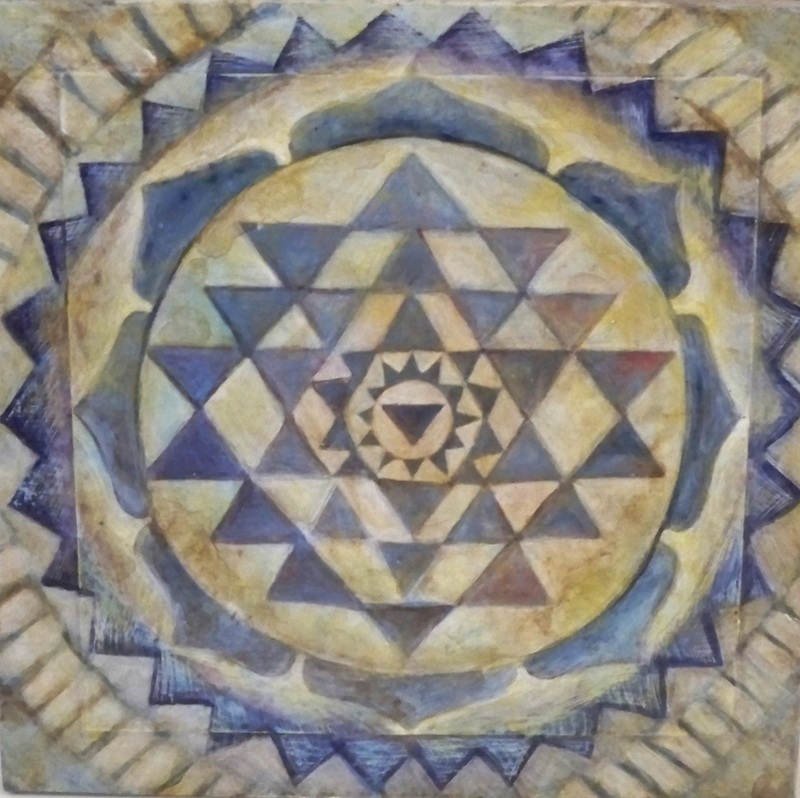 Mandalas are spiritual symbols in many cultures and religions, such as; The Star of David, The Celtic Cross, The Aztec Calendar, Rose Windows, Labrynths and more. 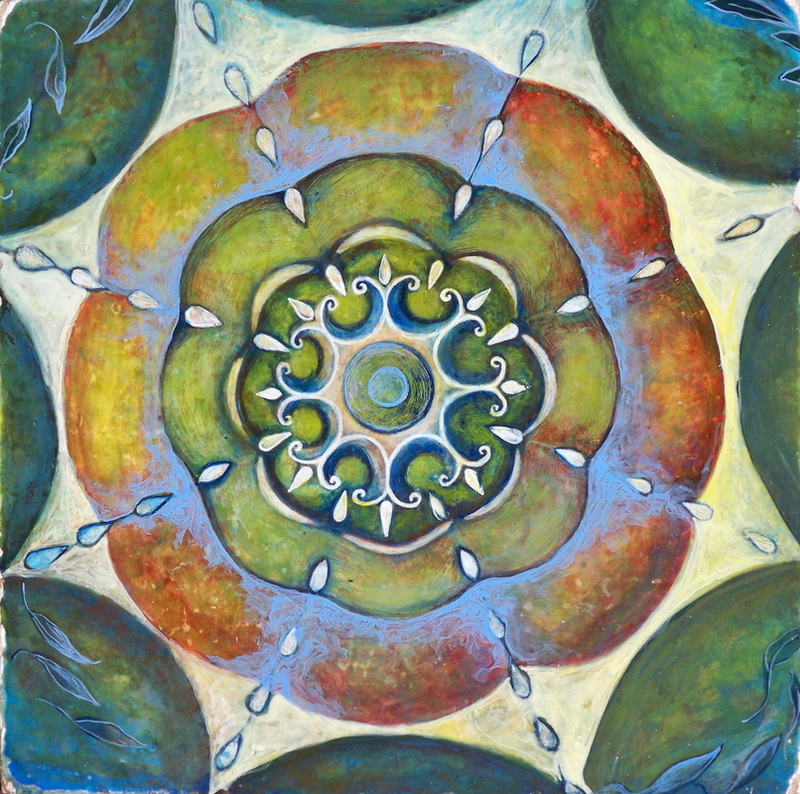 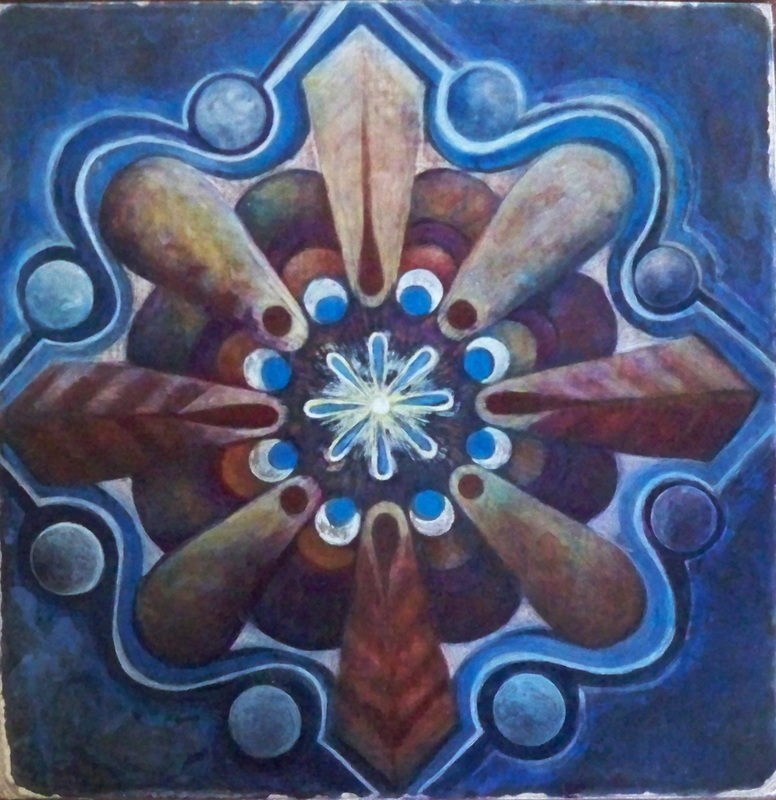 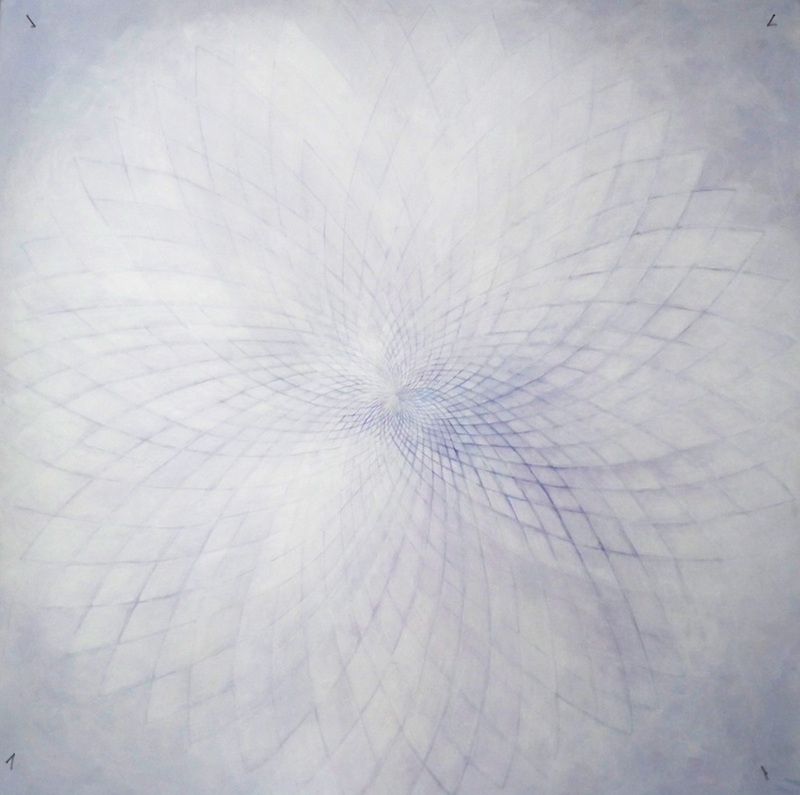 Thousand Petal Lotus Mandala - acrylic on paper board - 32" x32"
Thousand Petal Mandala - acrylic on paper board - 32" x 32"
Primordial Bloom - acrylic on paper / mixed media -36" x 36"
Mandalas can be found in Astronomy, Astrology, Geology, Physics, Biology, Chemistry, Architecture and Design. 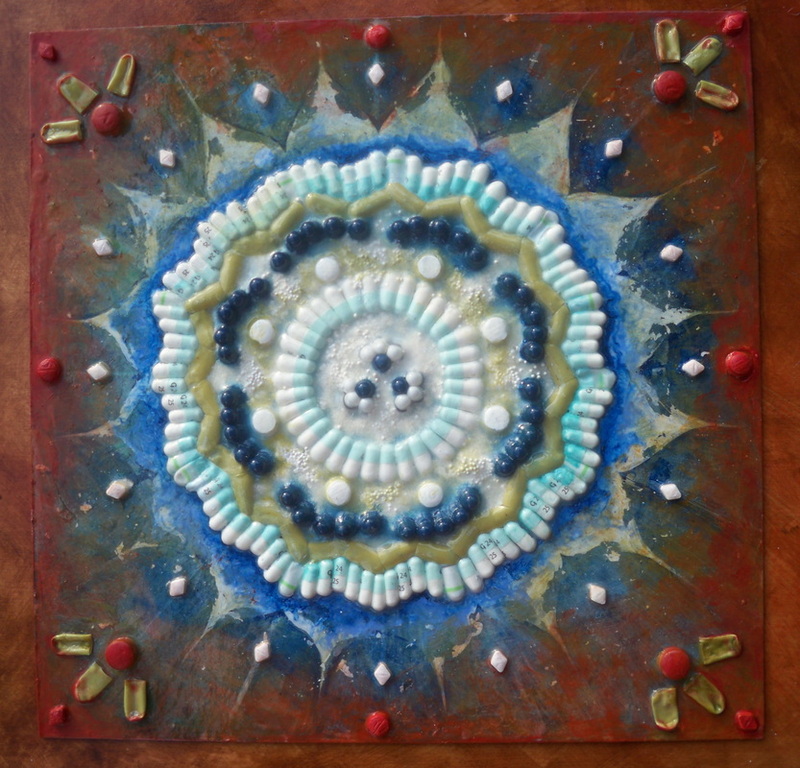 Mandalas are everywhere you look, just slice open a piece of fruit, look into a flower, snowflake or spider web, a snail shell, fossils, pods, pinecones, or an eyeball. 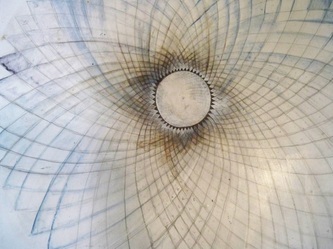 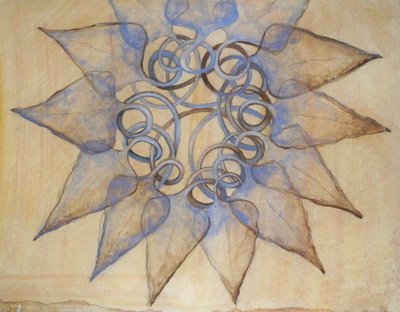 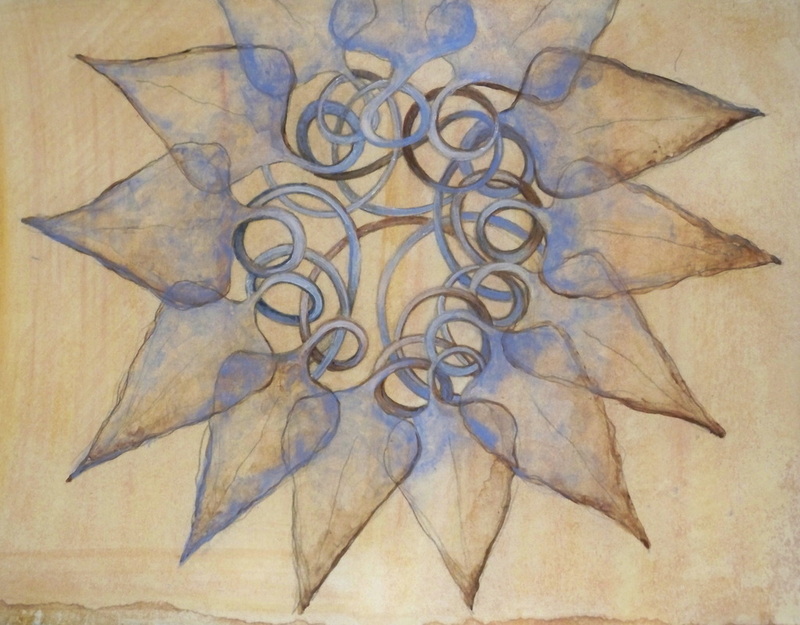 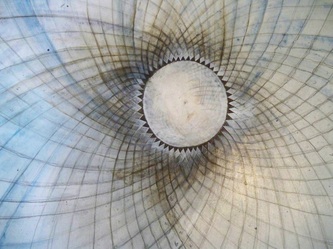 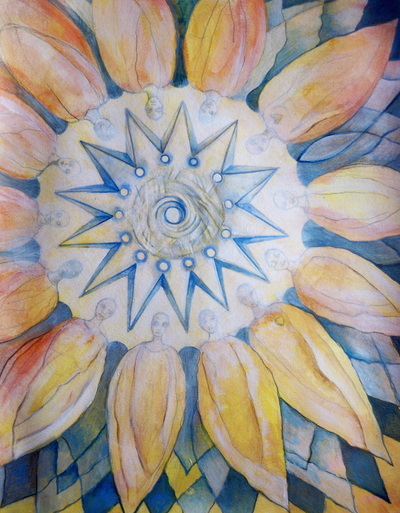 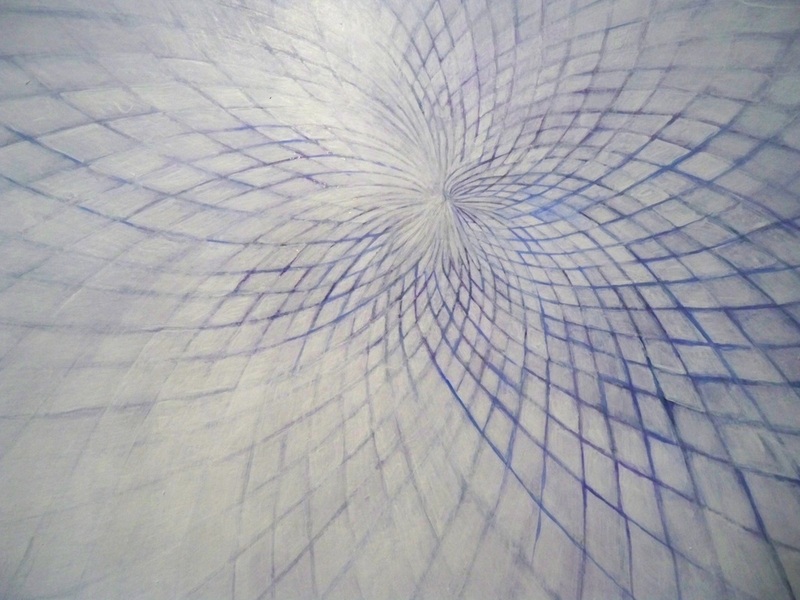 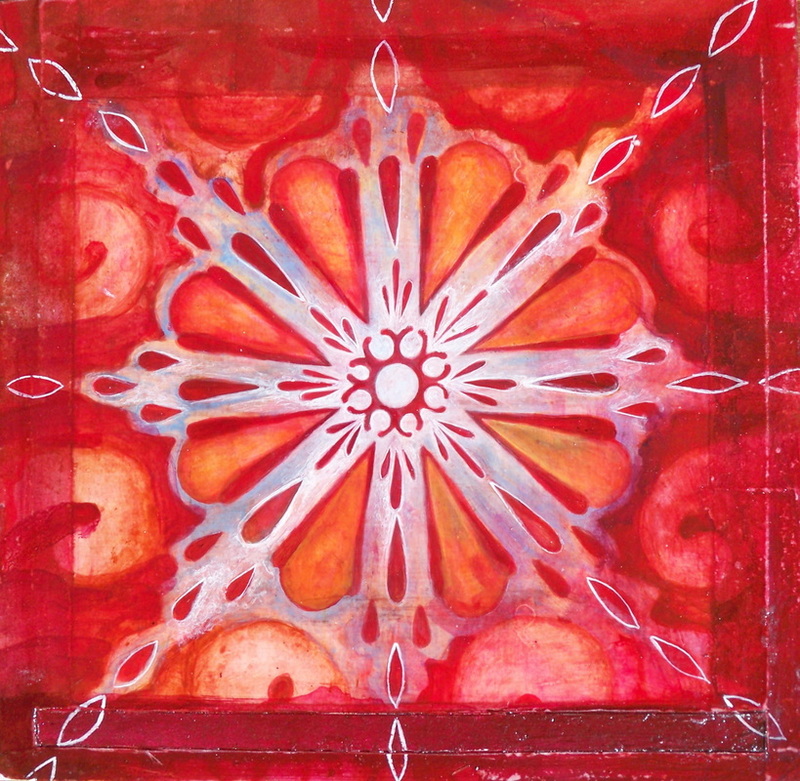 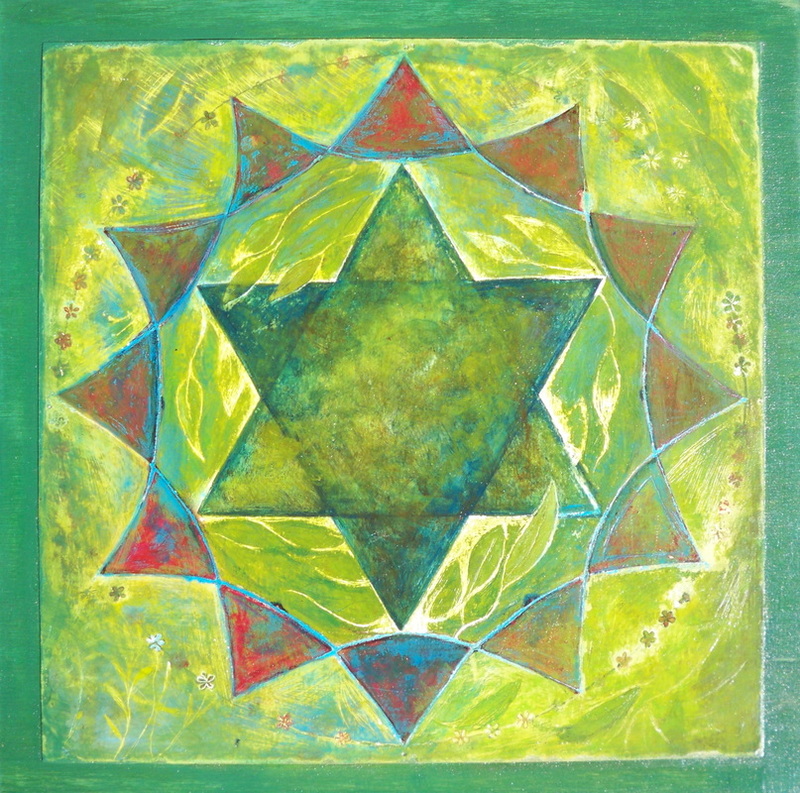 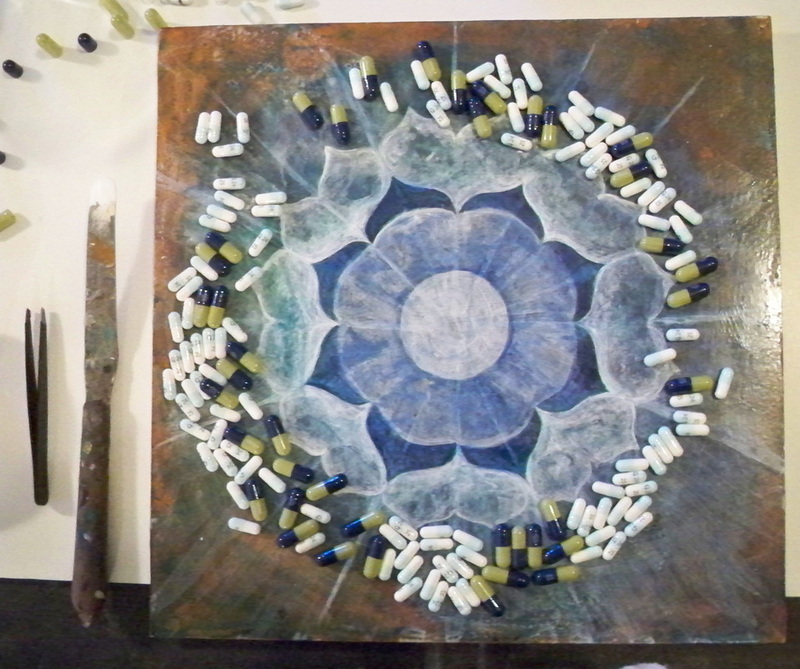 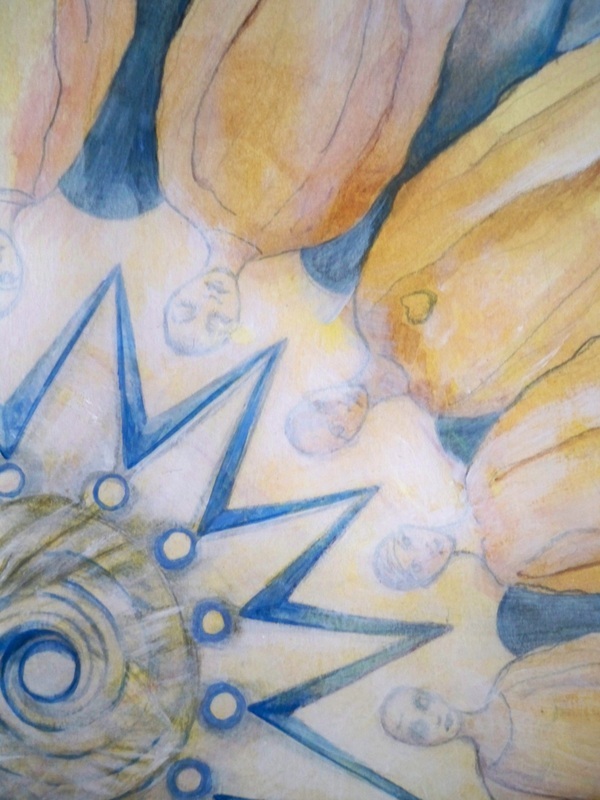 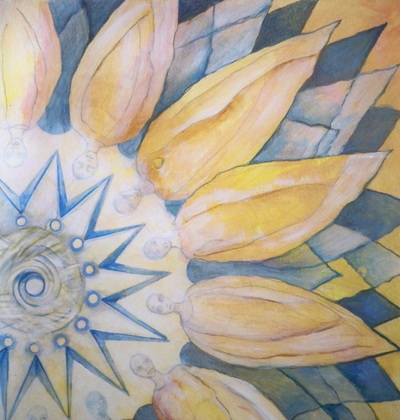 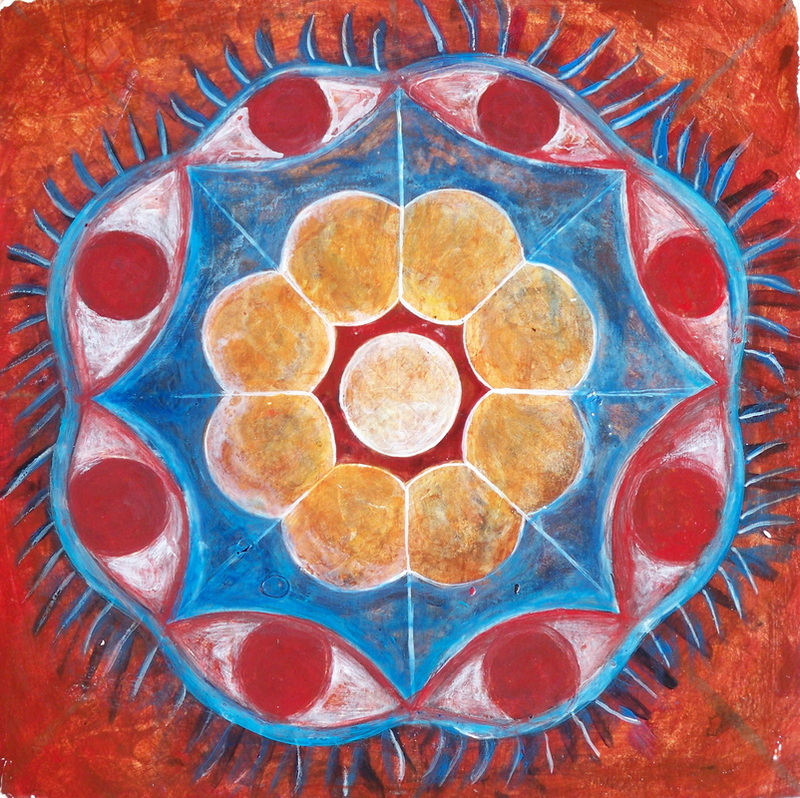 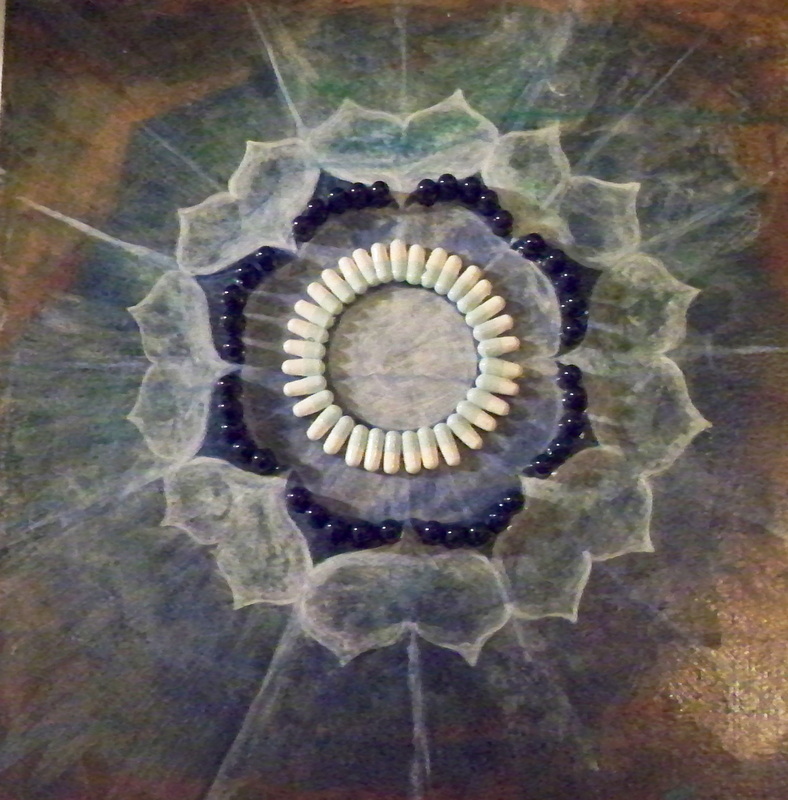 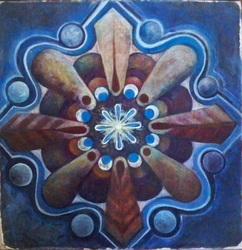 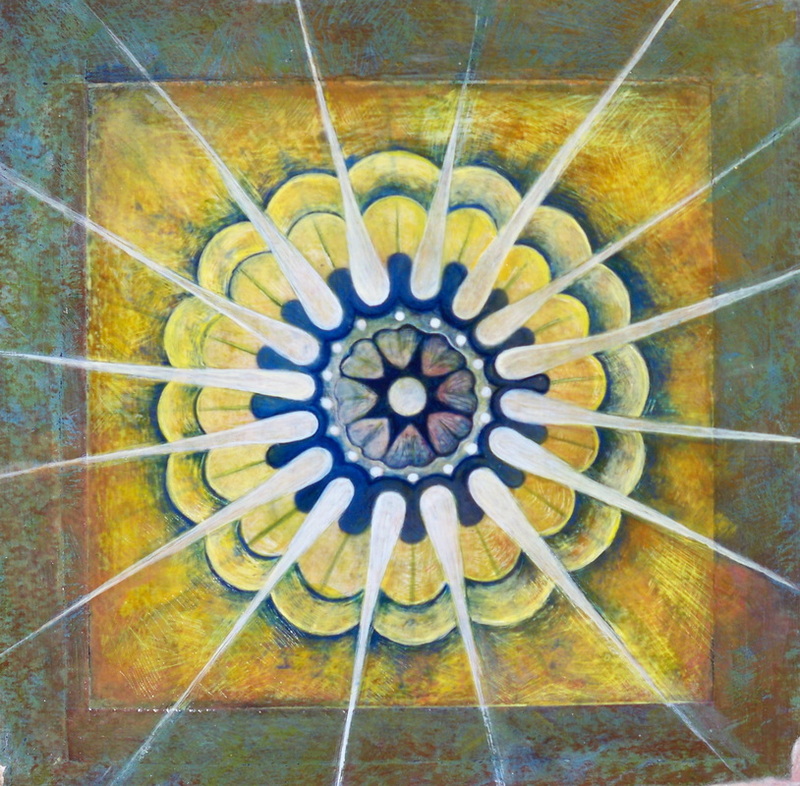 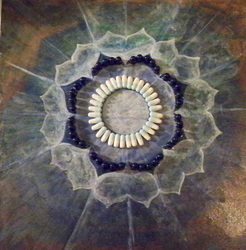 Mandalas pull us into our peaceful centers as we radiate with them out into the universe.